The CEO of Facebook continues to conduct himself in the manner of a 16th-century autocrat/dictator/emperor. I imagine him in his Palo Alto compound, surrounded by courtiers in gold brocade pantaloons. And I wonder: where is Thomas More in this play? 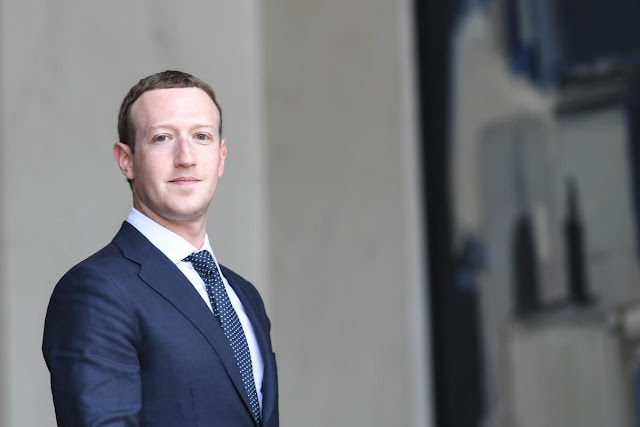 The unchecked supreme power of the king — sorry, chief executive officer — has flourished in the person of Mark Zuckerberg. Anyone who caught the interview with CNN’s Laurie Segall last week would have been struck as Segall pressed Zuckerberg, twice, on his overarching power at the social media giant. “So you’re not stepping down as chairman,” Segall asked, after suffering a discursive and off-point answer when she first put the problem of unchecked authority to him. Zuckerberg is both chairman and CEO of the social media giant, putting him completely at odds with best governance practice. At the moment he’s trying to sidestep the toxic glow of speculation around how long Sheryl Sandberg is going to be able to hang in as his chief operating officer. Or maybe that’s a deflection he welcomes. For the deeper problem is Zuckerberg himself, as I have written before. A pileup of stories, most recently a deep investigation by the New York Times, continues to expose a company that apparently does not believe the old phrase, “the truth will out.” There’s Cambridge Analytica or the hiring of Definers Public Affairs to “do work on” (i.e., discredit) Facebook critic George Soros or the fist fight over exactly when executives became aware of Russian hackers using Facebook to interfere in the 2016 election. And yet Zuckerberg doesn’t get it. That thought was a nod to his own Facebook post a week prior when he mused that such a body would provide “accountability and oversight” and prevent an over-concentration of decision making within existing corporate teams. Ideas on how this would work, exactly, are to be piloted in the first half of 2019. We see the problem here, don’t we. What is missing is the independent body serving as a check on Zuckerberg himself. I have previously written about the shareholder proposal from Trillium Asset Management pushing for an independent board chair. In its proposal Trillium reminds us of what we know — that Zuckerberg’s dual-class shares gives him roughly 60 per cent voting control over the company. An independent chair (and a muscular governance committee) would provide at least some checks and balances, holding management to account. Trillium’s list of examples include the proliferation of fake news, perpetrating violence in Burma, India and South Sudan, and blocking ads from certain user groups. Russian meddling and the sharing of personal data of 87 million users with Cambridge Analytica are in there too. The list of course would be longer if it were written today. Who in Zuckerberg’s court are his closest counsel? How have they so failed to get him to see the irony in creating a modern-day behemoth run with antique machinery? Here’s what I find confounding: if Zuckerberg did announce that he was stepping down as chair it would go some way toward appeasing his critics. Instead, he has assumed the manner of the cosseted ruler fearing treason around every corner. Will he sacrifice Sandberg? He said in the CNN interview that he would not. “She’s been an important partner for me for 10 years,” he noted. And shipping one’s number one adviser off to the Tower of London is never a good look. If Zuckerberg fails to make a move soon about his own role at the company, he may find that it’s his own head on the chopping block.